Inebriating perfumes, sensations and positive vibrations: this is what the Planetary Incenses can do. Used in ancient times to establish contact with divinity, they are still used to allow their users to extract any type of benefit to face the best of daily situations. Choose the incense which suits you the best and after having discovered its history and effects, let yourself be transported away by its lovely fragrance! 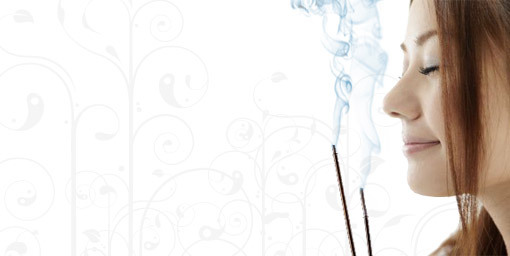 The planetary incense bring several benefits to whoever uses it. Find out which is best for you! Choose your planetary incense! Dosage of incense was only revealed to those in the know. Ceremonies with propitiatory incense also took place in Greece and in the Roman Empire and it was commonly accepted that the Gods were not averse to this on a certain day and at a certain time as they helped solve varying problems. Even today in India, incense sticks burn in houses and in the streets to honour the Divinities as if time has stood still. Also in Italy, the Etruscans and Romans commonly started their cults by burning incense. Initially the Church resisted this but it was later incorporated into the Masses and Liturgy. There are several possible methods of using incense and sometimes even biblical psalms are chanted to reinforce the positive vibrations of the odours. All these methodologies however are purely a potential of man who, thanks to his thoughts, can transform the action of his thoughts into daily life. Thus everything can be valid; all is created at the time of man's thought so each of us can reach a goal, harmonize with events and, above all, find a solution to every problem for Man is part of the Cosmos and is represented by everything around him. The daily horoscope is more exact but it doesn’t tell you how the month will go in general. Read your Monthly Horoscope! Love, work and health of April. Every day is a surprise but you can forecast in advance the general trend of the month of April.